1) It equips with automatic feeding system. 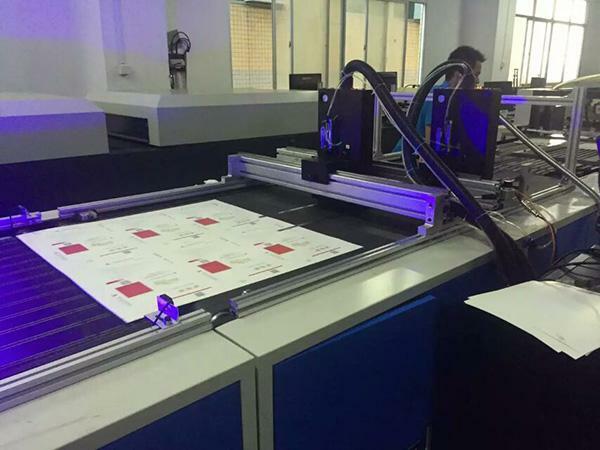 It uses printer type feeder with high feeding speed. 2) This UV printing machine is for variable signal supervising industry - pharmaceutical packaging, food packaging and other industries such as lottery, entrance ticket, bills and cards. 3) Paper side positioning device and ultrasonic scanner. Ball-pull positioning device is used to keep the paper moves correctly. The tolerance is +/-0.5 mm. Ultrasonic scanner to check if there is double papers moving together. The combination of brush roller and electric thermal pressing roller powder removal systems can remove effectively the powder on the sheets without scratching it. The inkjet is easy for adjustment and operation to increase the printing quality and reduce the jams of nozzle. Use LED lamp curing device for UV inks. The length of vacuum area reaches 1900 mm which ensues that the biggest paper be printed in the vacuum area. Use special wide vacuum belt to make the paper conveying stable and accurate. Imported industry piezoelectric nozzle, full metal design, long service life, low maintain cost. Easy to learn and operate. Industrial computer, industrial modular standardization design makes maintenance easily. The lamp running time monitoring system indicates the status of the lamp to the operator. Many sensors and safe device are equipped with the machine to make sure the machine run well and safety. All the malfunctions will be displayed in the screen for easy problem elimination. Online bar code and QR code checking system, checking the printed code online, alarm and get rid of it. Using pneumatic hitting device for automatic paper pile. 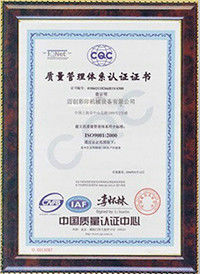 packaging and other industries such as lottery, entrance ticket, bills and cards. 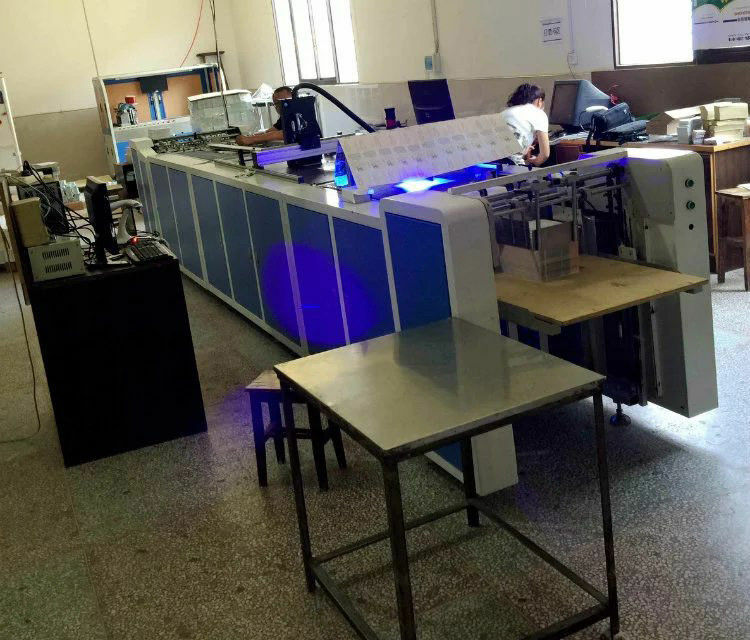 1) This UV printing machine is mainly used for printing continually variable signal such as one-dimension code, two-dimension code, words and graph on sheet. 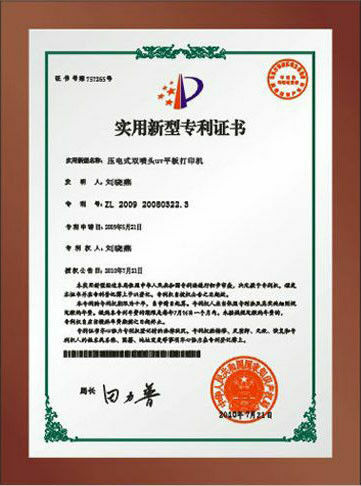 2) It is for variable signal supervising industry - pharmaceutical packaging, food packaging and other industries such as lottery, entrance ticket, bills and cards. Printing Speed ( 360 x 600 dpi) 0 - 22 m / min; ( 360 x 400 dpi ) 0 - 38 m / min; (360 x 300 dpi ) 0 - 50 m / min; ( 360 x 200 dpi ) 0 - 60 m / min.